With warmer weather truly on the way, you might be tempted to go all out to achieve the perfect summer body. The trouble is, taking this short-term approach to getting in shape can be a recipe for yo-yo weight loss and a lifelong battle with the bulge. Rather than focusing on what you look like in a bikini on the beach for a few short months, it’s much better to slim down in sustainable ways that you can keep up over the long term. If you want to get in shape and stay that way for life, keep reading. It’s easy to understand why crash diets are so popular. 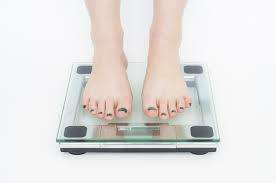 The prospect of being able to shed lots of weight within a short space of time is an alluring one. However, it’s impossible to keep these fad eating programmes up for the long haul. Often, they cut out crucial food groups and they can be very unhealthy. They also make unrealistic demands on your self-restraint. OK, so completely cutting out chocolate, cheese and other treats might be doable in the few short weeks before a summer sojourn, but what about when you’re back from the beach and don’t have a holiday to look forward to? It’s much better to make more subtle but sustainable changes to your eating habits. Bear in mind that the average woman needs around 2,000 calories a day to maintain her weight, while for men this figure is 2,500 calories. If you want to shed some pounds, you’ll need to cut your calorie intake and make sure you use more energy than you consume. How much you cut your intake by will depend on your weight, lifestyle and goals, but whatever your target, make sure your diet is healthy, nutritious and full of vitamins and minerals. You can find out more about weight loss from your doctor or trusted online health services such as Online Doctor. As with the food you eat, there’s no point in setting unrealistic targets when it comes to exercise. Sure, working up a sweat by spending hours in the gym could do wonders for your weight loss, but with your responsibilities at home and at work, how long could you expect to keep intense regimes like this up for? A more savvy approach is to build activity into your everyday life. For example, make sure you take the stairs instead of the lift, and try cycling or walking to local destinations rather than reaching for your car keys. Even being active with your kids by taking them swimming or to play in the park could help your efforts to get in shape. Vigorous housework can be a great way to burn energy too.